New dates of the contest are not yet published. The festival “Summer Symphony” is a celebration for the whole family, filled with the world renowned vocal, dance and instrumental music hits, as well as a bright and memorable musical show with a fantastic sound, lights, pyrotechnics and nightly fireworks, which will take place on an enchanting island opposite the Riga old town riverbank in the middle of the river Daugava – Lucavsala. An only this year we have a special jubilee category of Latvian songwriter and composer – the cultural symbol, pride and true heart of Latvia – Maestro Raimonds Pauls, where we will be able to hear the best new arrangements of already recognised and widely loved maestro’s melodies. Participants will be able to take part the competition auditions, concert-performance, as well as the grandiose Gala TV Concert where the winners will be able to perform with already recognised stage artists. To apply for the first phase must complete an application form on our official website. www.rigasymphony.lv, and send a recording of the song you will be participating with / or the best recording as a link pasted to your application form OR to our official email: rigasymphony@gmail.com. Application form submission deadline is 15. 06.2016. There is an application audition cost. This includes: submission of your web application, audition of your recording by professional jury, feedback and improvement suggestions and commentaries. Participation in the “Summer Symphony” International Finals is by invitations only, which will be approved and sent to each member individually by e-mail from the festival’s organising committee after the 15th of June. 2nd round – International Finals (2016 21. – 22. of July). Vocalists must perform one (1) number – a song that is a MEGA HIT – world famous hit. New arrangements, interpretations and renditions are advised! Performers will be assessed on the originality and visual preparation (show – costumes, choreography, effects, etc.). Vocalists who participate in Maestro Raimonda Pauls’ songs’ category should send in the recording of their song until the 10th of June. Dancers must perform one (1) accompanied by a song that is a world famous hit. Original famous choreography is welcomed, however new interpretations and renditions are advised! Performers will be assessed on the originality and visual preparation (show – costumes, choreography, effects, etc.). Instrumentalists (soloists, groups, bands) must perform one (1) number that is a world recognised musical piece. New arrangements, interpretations and renditions are advised! Performers will be assessed on the originality. •Grand – Prix (vocal); Grand – Prix (choreography); Grand – Prix (instrumental music) •Each nomination will be awarded I, II, III places. •Diplomants I, II, III degree. •Best vocalists who participate in Maestro Raimonda Pauls’ songs’ category will be awarded special prizes. Also the top 10 vocalists’ songs in the category will be included in the special jubilee edition CD. The jury will consist of international arts specialists, including producers of different international festivals and competitions; producers and presenters of leading radio and TV music programs; and other influential people in the world of music. •Contestants (vocal, choreography & instrumentalists who use backing tracks for their performance) are required accompaniment, recorded on a separate CD / USB flash drive (in wav format). •Soloists are allowed to have pre-recorded backing vocals, and the chorus is allowed to have the lead melodic line, but only when improvising. Instrumental tracks with pre-recorded lead vocals in verses or doubled throughout the choruses will not be accepted and the contestant will be disqualified. •Duration of the contest performance must not exceed 3 min. 30 sec. If you exceed the time limit the song will be cut by our engineers. MUST BE NOTED – Failure to comply with these requirements will result in immediate disqualification of the contestant!!! Participants are expected to make a participation transfer. Transferring the payment, please indicate: “For participation in the festival; name, surname, nomination genre (vocal, choreography, instrumental music)”. Participants are entirely responsible for all other expenses concerning their presence at the festival – including accommodation, travel expenses, transfers, meals, medical expenses and insurance. 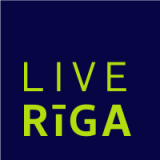 •A pedestrian tour of Riga.